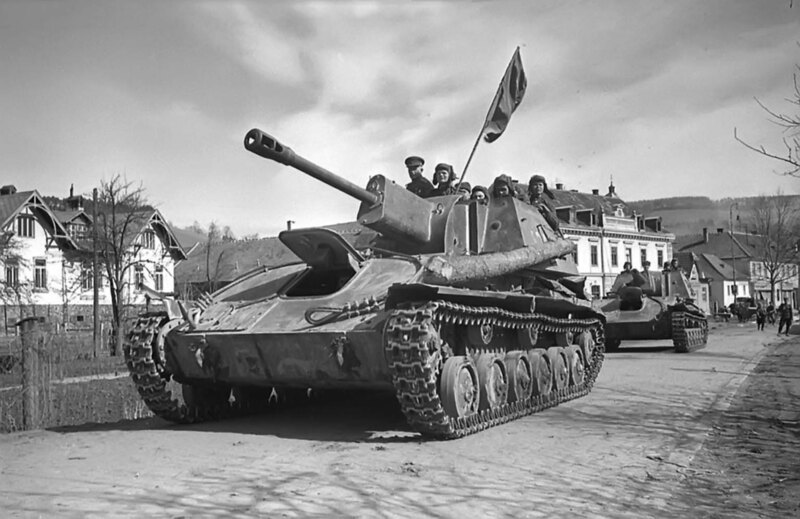 Soviet SU-76M self-propelled artillery in Vienna, Austria. SU-76 – Soviet self-propelled artillery system, used in the Great Patriotic War. The self-propelled gun was made on the basis of light tanks T-60, T-70 and was intended for direct support of infantry, had anti-bullet armor. Armament of SU-76 allowed to fight with the light and medium tanks of the enemy.